Humans have evolved as runners. More specifically, we have evolved as wild runners – our ancestors taking to the plains and savannahs, rather than roads and treadmills. As unlikely as it seems now, as so many of us hunch over desks all day, humans are uniquely adapted to covering great distances without stopping; with our upright postures and ability to regulate our body temperature and refuel on the move, we are amongst the finest distance runners of all mammals. These adaptations enable us to track prey that would easily outrun us over shorter stretches. Indeed, in late 2013, a group of Kenyan farmers chased down cheetahs – the fastest mammals on earth – that were stealing their goats, tracking them for several hours in the midday heat, until they collapsed of exhaustion and could be safely moved. Of late, more and more of us are going back to our historic running roots. A survey by Sport England suggests that two million adults participate in athletics (including running) on a weekly basis. Running club membership and participation in races has also increased, with many popular races being regularly over subscribed. Then there’s the rise in different disciplines. Participation in trail running – runs along marked off-road routes – and fell running – taking to the wilder fells and dales – is booming, while it’s estimated that five million people worldwide took part in some kind of obstacle race in 2013. More and more runners are pushing their boundaries, signing up for ultras (any race longer than a marathon) and triathlons – which, according to British Triathlon, is the UK’s fastest-growing sport, with participation increasing at a rate of 10 percent a year. 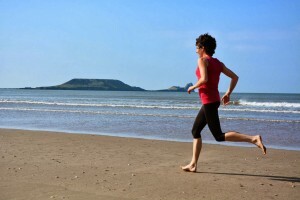 Running is a time-efficient and cost-effective means of getting and staying fit. It helps you meet new people, explore new places. It can fit in perfectly with a busy working lifestyle. It’s even good for the mind, with evidence suggesting that running improves both mood and mental ability. Running is also unique in its simplicity: lace trainers; open door; one foot in front of the other; repeat. No need for fancy kit or lessons – it’s something we’ve all been doing since childhood, when we ran for the pure unadulterated joy of self-propelled movement. This simplicity lends running a freedom that’s found in few other sports. It allows us to experience our surroundings through our interaction with them: feet skipping over rough ground and along winding trails; the tough, lung-wrenching struggles of hard ascents; the liberation of speedy descents; the ease and enjoyment of bounding over flat, soft turf; the uncomplicated satisfaction of getting yourself from A to B. For us, the most important aspect of running is enjoyment – of the act of running itself, but also of the experience of being within a run, and the enrichment it brings to the rest of life. The more running you do, and the fitter, stronger and more confident a runner you become, the more enjoyable it becomes. Part of the ultimate enjoyment of running is in the places it takes you, and the wild spaces of Britain – some obvious such as the expanses of our National Parks, some a surprising discovery within an urban jungle – are a perfect place to start exploring. Wild running might be defined as that which falls somewhere between, or perhaps even outside, the traditional disciplines, taking the best from each but not being constrained by rules and regulations. The essence of wild running is in the excitement, location and pure joy of running a route, rather than the surface it is run upon. Freedom, fantastic running terrain and the exploration of new and beautiful places are all key to a perfect wild running adventure. 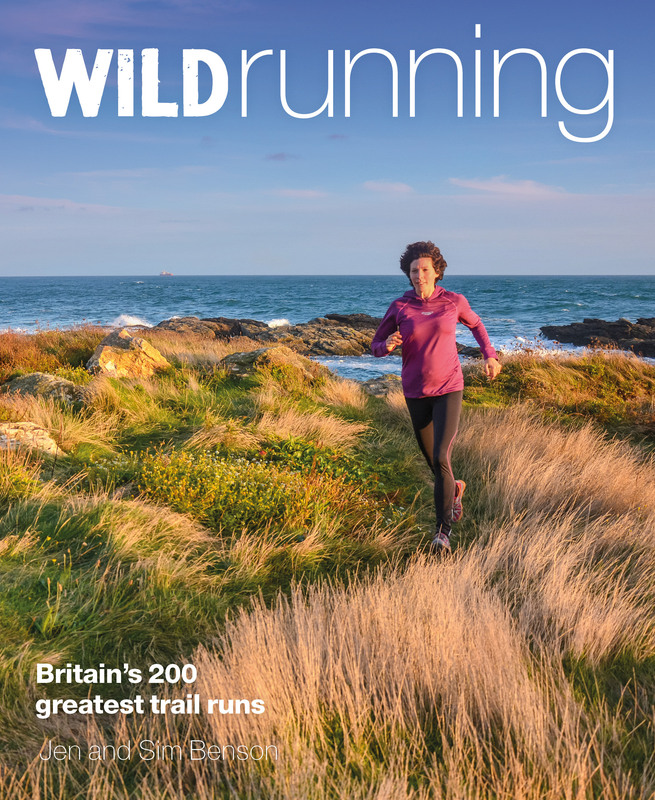 Wild running takes you away from everyday life, providing the freedom to discover and explore fantastic new places. The experience of running in remote areas teaches us self-reliance, makes us fitter and stronger and encourages us to become better at finding our way. A wild running adventure can be as gentle or as testing as you choose to make it, and it can be different every time, but the key ingredients – an adventure somewhere amazing, with great running underfoot – are always there.